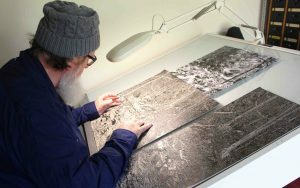 Pictured: Wayne Singleton works in his studio. 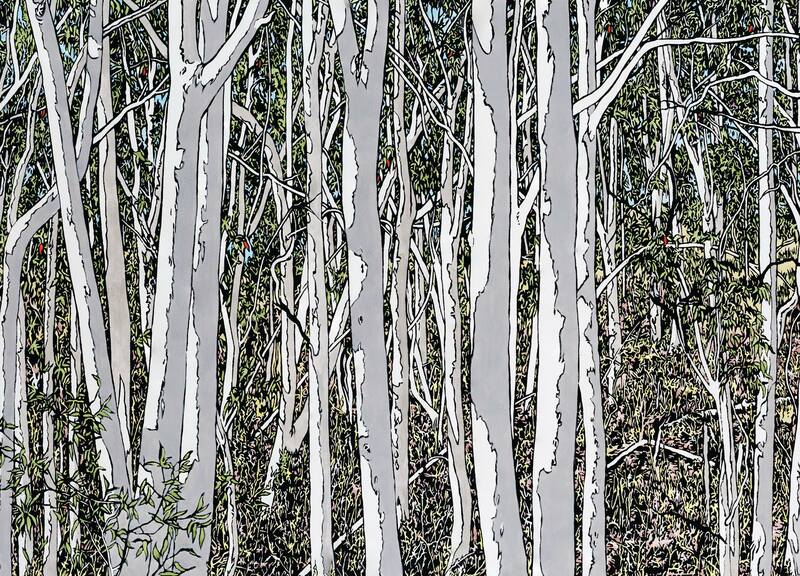 Award-winning Brisbane printmaker Wayne Singleton has mounted his solo show “Cutting Both Sides of the Line” at Petrie Terrace Gallery this week to an enthusiastic reception from members and art-lovers alike. The show includes over 50 original prints and multiple editions along with a small selection of sculptures by acclaimed glass artist Jo Bone. 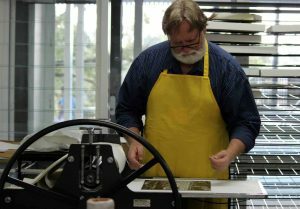 Pictured: Wayne Singleton printing at Brisbane Grammar School. The show will be officially opened this Sunday 22nd July at 12pm by Brisbane Grammar’s Head of Art Angela McCormack, we hope to see you there. If you can’t make the opening why not pop by for the artist demonstration and Q and A event in the gallery on Saturday 28th July at 12pm. This entry was posted in Exhibitions, Latest News and tagged art, artist, bneart on 19 July 2018 by Rochelle.